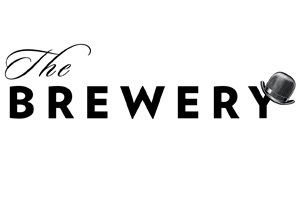 London venue The Brewery has rebranded in a bid to attract more conference and event business. The new look spans decorative renovations to the venue to incorporate the new branding, the introduction of business cards shaped like beer matts, a redesigned website and a revamped corporate logo. The website was redeveloped following feedback from clients. It has been rejigged to enable online visitors to find detailed information on the venue and its services, and includes a ‘where to stay’ section enabling people to find and book local and London-wide hotels. Maria Duddin, The Brewery’s general manager, said: "Looking forward to the next year, we aim to maintain our high profile in the city and are expanding to international and incentive travel. "A lot of care and attention has gone into every element of this project, which we have been working on for over a year. "The new logo features a bowler hat, which was inspired by our iconic doorman Martin who welcomes all visitors to The Brewery, creating a lasting first impression of quality that is carried throughout their experience at the venue." The venue, which can accommodate up to 1,000 guests, was first opened as a conference venue 35 years ago.